It’s been described as the most complicated chess match ever played. The behind-the-scenes maneuverings must have been something. What seemed like the end of the 30-year regime of Hosni Mubarak in the morning, turned instead into a confusing, meandering speech that left uncertainty- and the regime still reigning. Even President Obama seemed to think something was up at a noon when he told a crowd in Michigan that “we are witnessing history unfolding.” CIA chief, Leon Panetta, told a congressional hearing it appeared Mubarak was on his way out. But it turned out he was relying on news reports not actual intelligence. And five hours later, Mubarak gave his speech. 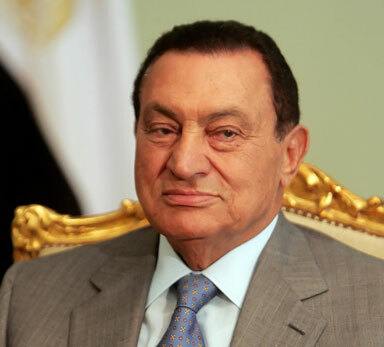 The Egyptian Ambassador to the United States, Sameh Shouhkry, says definitively that Mubarak has transferred all authority to his Vice President. Apparently that leaves Mubarak as some kind of paternal figurehead. And the protestors are livid. Friday may tell the tale. It appears the Egyptian Generals, for now, have sided with the regime. And what of the soldiers, who after all, are taken from the ranks of the citizenry; will they fire on angry protestors if they decide to charge the Presidential compound? Will the soldiers obey the orders of their officers? Has the regime deliberately provoked the protestors in an effort to clamp down and declare it is acting in the interests of public order? Lives and liberty will be on the line Friday in the streets of Cairo. First of all let me say that our hearts go out to you as we read about you in our newspapers and watch you on our screens. The meaning of the sounds your voices, though articulated in a different language, comes across loud and clear–you have had enough, you have had more than enough of your share of injustice, oppression, and inequity…and after decades of dictatorship, the time has come for change. We understand your struggle for a better life. We understand how you, your family and your friends have been mistreated–your basic human rights trampled on. But while you experience the emotional high of this moment of “people power,” and anticipate the approaching conclusion of this conflict with your government, I hope that you remember what is at stake here, and realize what the cost of this turmoil will be to your society as it moves forward. Remember that the goal of your jihad is more than just an ouster of a dictator and his corrupt regime. This is not the end-point of your struggle. Remember that ultimately, the prize for your labor is a higher quality of existence, through a better system of government, measured by the presence of peace and happiness. Achieving this goal, as you already realize, will not come without cost–and you have already begun to pay for it. What is the price tag for an immediate transition of power? The answer in one word: Instability. Think of these questions as you forge your future in the fires of this unrest. Can you afford the months, maybe years, of uncertainty in the governments ability to deliver even the most basic of services to your homes? Can you afford the insecurity of your cities, towns and borders? Can you afford living with an unsteady and fluctuating income? As you toss out Hosni Mubarak from political power, you need to be careful that the basic services of government do not get thrown out as well. Furthermore, as you consider the fundamental aims of your revolution and the obstacles you will have to overcome on your journey towards your idea of eusociality, have you had a chance to inspect the possible candidates for replacing Hosni Mubarak? We know that anyone connected with the current regime is tainted with the past, so will the new president truly represent the ideals you are fighting for? Or will this person and their administration turn out to be a disappointment for your movement? Egypt, I recognize the legitimacy of your struggle, concomitant with that, I want to urge you to be cognizant of what it is that you really want to see happen in your country, and the path you are willing to take to get there. Consider especially, extending the transition period for change. This will allow some time for the formation of a new and improved government system without the power-vacuum induced instability that an immediate exit will cause. Waiting for Mubarak to finish his term in six months this September does not seem like a bad idea when you consider the larger picture of the history of your civilization. As you dictate your demands to your dictator today, and as you hear the cheers of encouragement from your neighbors around the world harmonizing with your own voice of discontent and dissent, I hope you realize how vital it is for the stability of your future that reason and patience prevail over passion and a sense of immediacy. It would be a real shame to see in the news six months from now of a nation in dire straits, its premature democracy floundering, and its society in critical need for some sort of external intervention by a more developed, more powerful, foreign-based democracy.